With one notable exception, the firms that make up what we know as Wall Street have always been part of an inbred, insular culture that most people only vaguely understand. The exception was Merrill Lynch, a firm that revolutionized the stock market by bringing Wall Street to Main Street. Merrill Lynch was an icon. Its sudden decline, collapse, and sale to Bank of America was a shock. How did it happen? Why did it happen? In March 2006, the world's richest men sipped champagne in an opulent New York hotel. They were preparing to compete in a poker tournament with Â­million-dollar stakes. At the card table that night was Peter Muller, who managed a fabulously successful hedge fund called PDT. With him was Ken Griffin, who was the tough-as-nails head of Citadel Investment Group. There, too, were Cliff Asness, the sharp-tongued, mercurial founder of the hedge fund AQR Capital Management, and Boaz Weinstein, chess "life master" and king of the credit-default swap. Muller, Griffin, Asness, and Weinstein were among the best and brightest of a new breed, the quants. Over the past 20 years, this species of math whiz had usurped the testosterone-fueled, kill-or-be-killed risk takers who'd long been the alpha males of the world's largest casino. The quants believed that a cocktail of differential calculus, quantum physics, and advanced geometry held the key to reaping riches from the financial markets. And they helped create a digitized money-trading machine that could shift Â­billions around the globe with the click of a mouse. Few realized that night, though, that in creating this extraordinary system, men like Muller, Griffin, Asness, and Weinstein had sown the seeds for history's greatest financial disaster. This is not a great book, in general or on the financial crisis in particular. 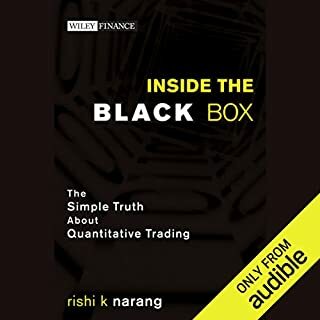 It is good and it may be one of the best on the origins, mechanisms, models, culture and consequences of the quants on Wall Street. But it seemed to me that Patterson tried to do too much in this book, to tell a human story, a history story, have multiple parallel and intersecting plot lines and so many protagonists (major, minor and very minor) that it was easy to get lost in the text (it is very well read by Chamberlain). It is encyclopedic in some ways, without having the organizational and categorical benefits of being an encyclopedia (which might, in any case, be hard to listen to). Before you go away thinking the book is worthless, let me say that many sections, small sections scattered about, are superb. Which is why it gets a 4-star score rather than something lower. Patterson is very good with the root origins, in mathematics and physics, and the more near-term historical origins in the US investor community in the 1950s, 1960s & 1970s. Patterson is quite good at explaining the different threads of quant strategies without getting you bogged all down in math. And he does succeed at times, in the human story, to make you understand some of the players. Like any complex event, to fully understand what happened, you have to read more than one book on the subject. Other books on Audible such as those by Tett, Lowenstein and Lewis tend to complement Patterson's book by looking at different facets of the origins of the crisis, the crisis itself and the public policy issues. 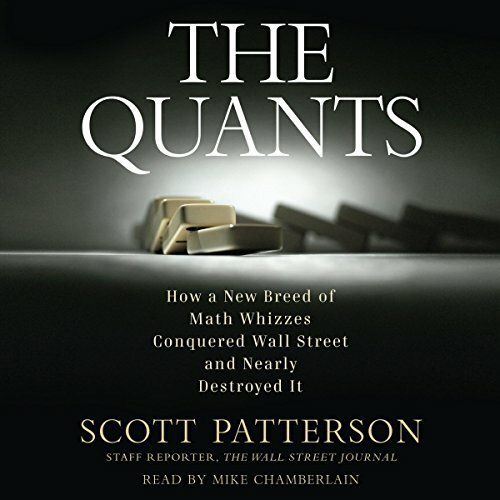 Tett, Lowenstein & Lewis do not focus so much on the quants, so to fill out your knowledge it may be necessary to pick up Patterson. And since the quants are in many ways right at the center of the crisis, in the way it filled up a bubble, popped the bubble and generated significant contagion effects, it is necessary to understand them. I have gone through several books in this genre, the last being "The Myth of the Rational Market." That is an alright book, but this blows it away on the same topics. This author is a great, standout (not merely good) explainer of events and ideas. The smiles this books brings me along the line are intelligent smiles. He adds just enough color and personal quirky stuff (nerdy of course, as one would expect here) to stay breezy, but is slightly more straighfaced than, say, Michael Lewis. The choice of details and events never wanders far from the big ideas and history being presented. This will get a second listening. The previous reviewer pretty much nailed it on the head for me: the author enjoys writing the about the personal -- and largely irrelevant -- stories of the people profile. Had he just spent as much effort unwinding the how and why of the quants approach, I would have enjoyed this book much more. When he doesn't overthink it, the narrative is focus and informative. When he does, its push the work very close to a fictional feel. Of course, understanding the level of hubris involved in this culture is part of understanding how and why it lead to the outcomes it did, so it was essential to cover that. Just too much of a good thing here. One concluding suggestion: if you decide to invest your time and attention into the offering, make sure you have already done the same or will follow this title up with Taleb's "The Black Swan." Its a great counterpoint this. My first impression, after the first chapter or so, was to regret my purchase. But I came around on it. The bad: The book is sensationalized. 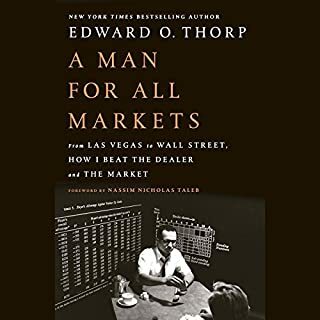 Instead of putting things in plain straightforward language, the author chooses to phases such as "every trading system known to God" (to describe the deal some young trader got with his broker). The narrator doesn't help with the sensational aspect, but he generally does a good job. The author can't refer to a mathematician without saying "whiz" or "genius". It is painful if you can't get used to it, and I'm sure that's why the other reviewer hated the book. It can seem insulting to anyone who already knows something about wall street. The good: The book actually has a lot of information in it and seems to be well researched. Some of the conclusions and observations made along the way make sense. He describes complex issues well. I wanted to know more about quantitative finance and its role in the 2008 meltdown. Every time I heard about it the word "complicated" was a mandatory adjective followed by an array of terms I did not understand. After listening to this book I do not necessarily know what a credit-default swap is, but at least I know it exists and how it functions in the larger framework of the other instruments one needs to know about. I read some negative reviews about this book and this review is an answer to those negative reviews. This book was immensely helpful and gave me a frame of reference from which to approach a complex topic. The negative reviews are ironic in that their insistence that Patterson is painting confidently with broad brushes is the same advice the Quants would have benefitted from, had they had the humility to listen. A revolution has taken place on wall street, and Patterson shows us how it happened. I found this book entertaining to listen to but I don't believe it gets to the root causes of the financial disaster. I'm currently reading The Black Swan and I find this much more insightful about the fundamental causes of financial crisis. 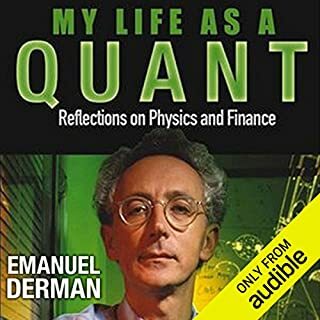 The author of this book wants to confine his discussion to how the quants models were broken but doesn't want to discuss how bankers, government officials, and everyone else was in some way responsible for the downturn. 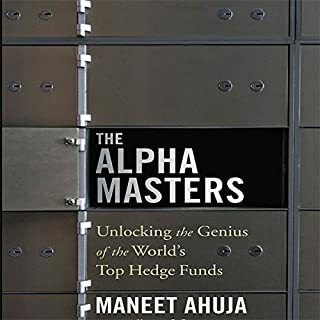 If you are looking for an entertaining look inside the world of hedge funds this would be a good place to start. However, if you are trying to find a book that gets to the causes of the financial crisis I would start somewhere else. I was expecting a story and it started like one, however 90% of the book, to be in the same spirit ad the story itself, is consisted of just throwing numbers left and right which are meaningless. I don’t know what to make of this book. It’s an interesting enough history of the modern financial markets, but in a non-linear and repetitive way that makes it hard to follow. Quants are never fully described, let alone their methods, probably because the author couldn’t get access. As a result, the author uses “quant” as a cheap plot device, almost as if using a generic descriptor, such as man, woman, boy, girl, child, adult, etc. I listened at 1.25x and still it felt like a struggle. The book has no depth. It continues in a cycle of the same people, the same storys and never moves past some important questions that it asks but never answers. Fell in love with every aspect of this book. This book motivates me on degree amazing!!! Good accounts of what happens and dramatisation of the process. 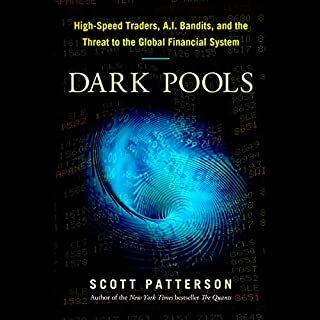 Read this to understand how a collection of semi professional gamblers and cash hungry, over achieving maths graduates built the financial H bombs that nuked the global economy. The description of the challenge poker session between the Quant analysts just before the whole system almost collapsed. 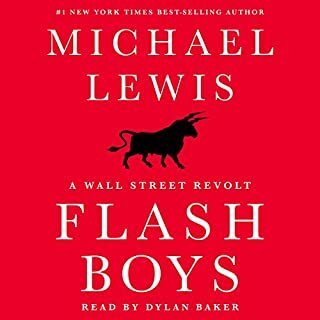 Do you think The Quants needs a follow-up book? Why or why not? Nope, not until the next catastrophe at any rare. The writing in the first chapter or so was very average. After that it improved markedly. Minor points - Listing possessions isn't telling a story and if I ever hear "beyond their wildest dreams" again I'll choke.